At Capital Coating, we value our customers and endeavor to always put their needs first. For that reason, we do everything we can to avoid replacing a commercial roof if there is another viable alternative. Industry statistics show that roofs are replaced prematurely as much as 70-80 percent of the time—an alarming statistic that we don’t want our patrons to fall victim to. Sometimes, however, there simply is no other choice but to replace a roof. 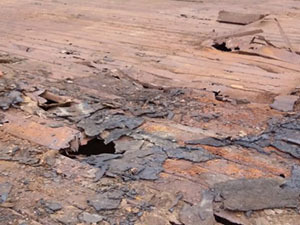 When that circumstance arises and you need flat roof replacement services, the experts at Capital Coating are here to perform the needed work with expertise and precision. 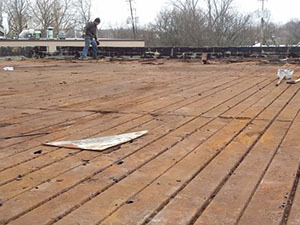 For all of your commercial roofing needs, including expert flat roof replacement, you can count on Capital Coating. Give us a call today, (717) 442-0979! Capital Coating is our name, and high-quality roof coatings are one of our specialties. Before ever replacing a commercial roof, we will inspect it and determine whether a roof coating would be a viable option. Can stand up to Mother Nature’s worst, including hurricane-force winds! If it turns out that your roof is not a good candidate for a roof coating, the Capital Coating team will provide you with high-quality roof replacement services to give you an outstanding new roof that is built to stand the test of time. Either way, you’ll be left with a fully functioning roof that is ready and willing to protect your building and its valuable contents! Whether your roof needs to be replaced or another option exists, you can count on Capital Coating to give it to you straight. We will deal honestly with you and provide you with the very best options to take care of your roof’s needs. Give us a call today at (717) 442-0979 for expert roofing services you can count on—and an honest estimate you can take to the bank!